The case, in carbon-based black steel, measures 46mm. 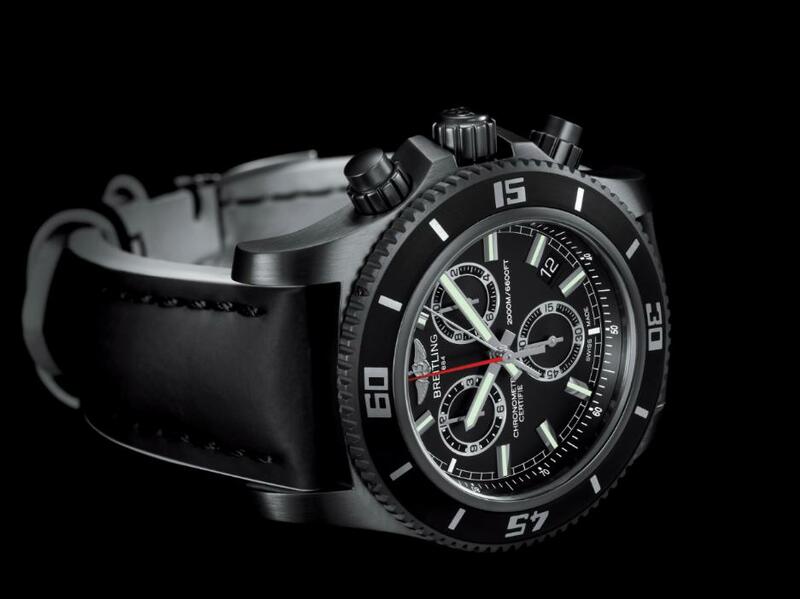 It has a 4mm AR-coated sapphire crystal, a helium-release valve, a black rubber-molded unidirectional rotating bezel, and it is water resistant to 2,000 meters. The Superocean Chronograph M2000 is equipped with an exclusive magnetic pushpiece system. 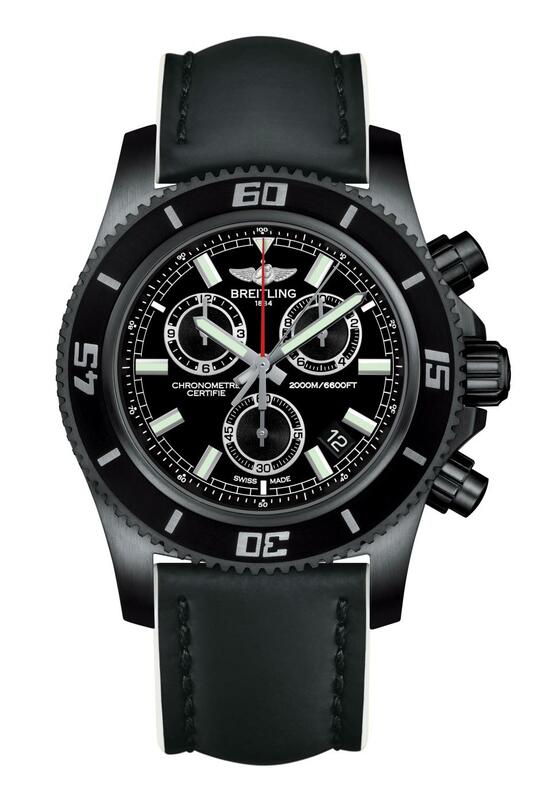 This patented device enables the chronograph controls to be handled via the metal of the case, making this model the world's only chronograph to be water-resistant and entirely functional to the 2,000 meters (6,600 ft), without any risk of water seeping in. Movement is the Swiss quartz Breitling caliber 73, a thermocompensated SuperQuartz movement, COSC-certified as a chronometer. 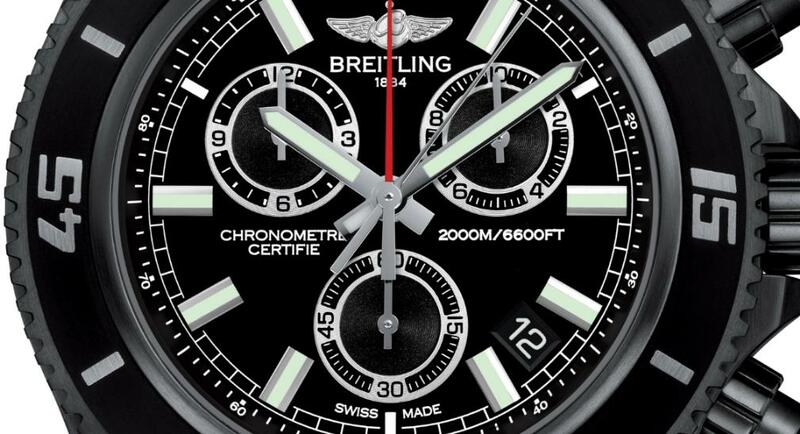 It has a 1/10th of a second chronograph, 60-minute and 12-hour totalizers with split times (split-seconds hand) and calendar. The dial is volcano black with luminescent hands and indices. It comes on a black leather strap with white edges and a black steel buckle. veramente non ho parole, ma perchè queste scelte? Perchè? Per impossibile da portare al polso..mi aspetto di meglio! !